Kona is one of the oldest hot springs in Izu Peninsula and Ikawakan is connection with Princess Ayame, wife of Minamotono Yorimasa who had enjoyed the hot springs every day in 12th century.The cuisine is served by fresh ingredients from sea and mountain. 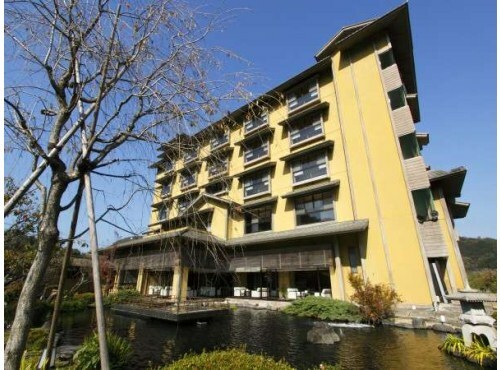 Mizuniwa-no-hatago Sumiyoshikan is located facing Kano River and new building is a 5-stories scenic hotel. It has a great view of Kano River and hot spring baths are famous in Kona for their ability to heal various symptoms. 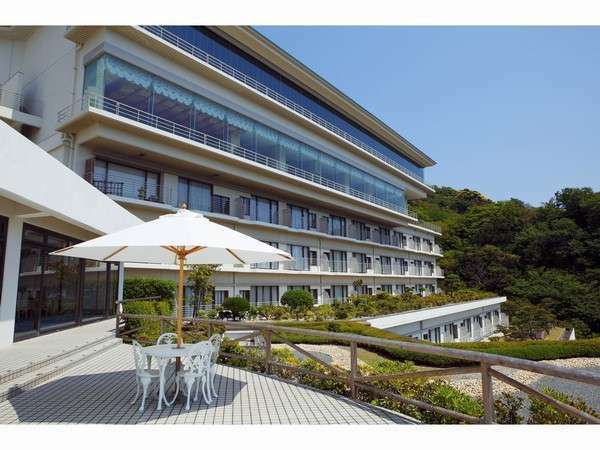 Dogashima New Ginsui is a new modern Japanese style hotel located at the height commanding Sanshiro Island and Suruga Bay. All rooms are faced to ocean and there are many bathes including open-air bath, sauna and hot water pool. 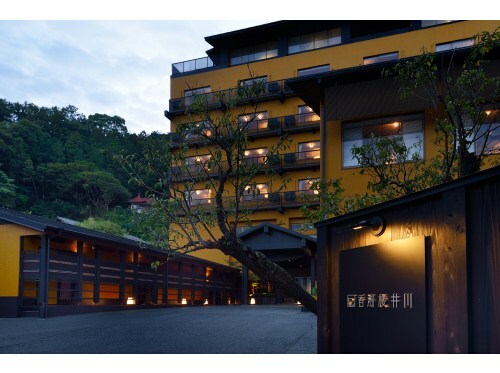 Dogashima Onsen Hotel is located at Sehama Coast in Nishi-Izu Dogashima, just in front of Dogasima's symbol Sanshiro Island. 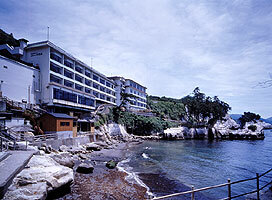 Dogashima Onsen Hotel is a chalk building of villa type and looks like luxury cruise ship. 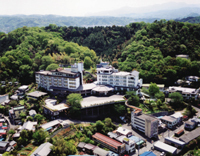 New Hakkeien is located at the beautiful landscape of greenery in Nakaizu and offers the majestic views of Mount Fuji from every corner of the hotel. 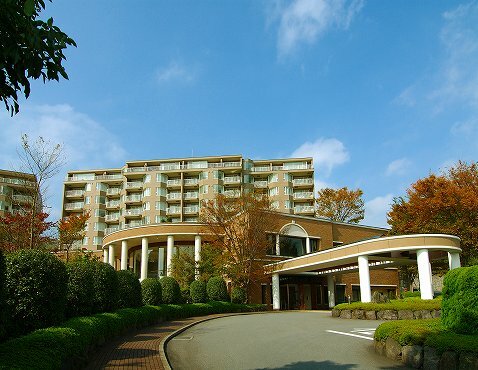 While maintaining the prestige of the Japanese-style hotel, guest can taste the wagon service. 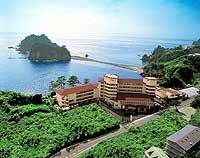 Umibe no Kakureyu Seiryu is the seaside hotel commanding magnificent Suruga Bay. 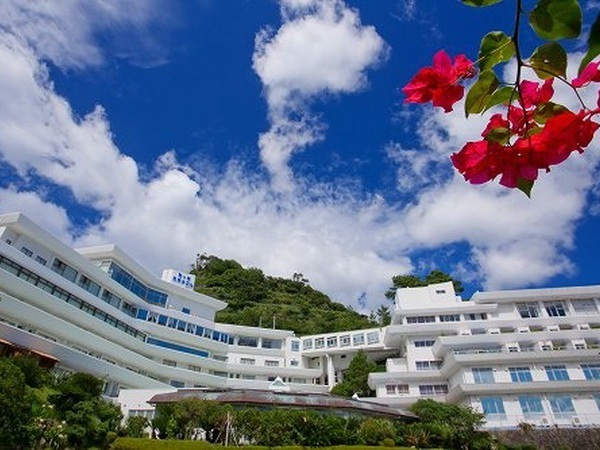 Located on the beautiful coast of West Izu, guest can see the floating islands and beautiful sunset from the guestrooms or from the open-air bath on the beach. Dogashima Accueil Sanshiro is faced to the Suruga Bay and the Sanshiro Island is located just in front. It is a great view looking the setting sun while bathing in hot spring bath. Every room has an ocean view of the Suruga Bay. All rooms are suites of over 78㎡, with the living room dependent from the living room. All rooms are equipped with outdoor bath. Indoor warm-water pool can also be used free of charge. The room also has kitchen.